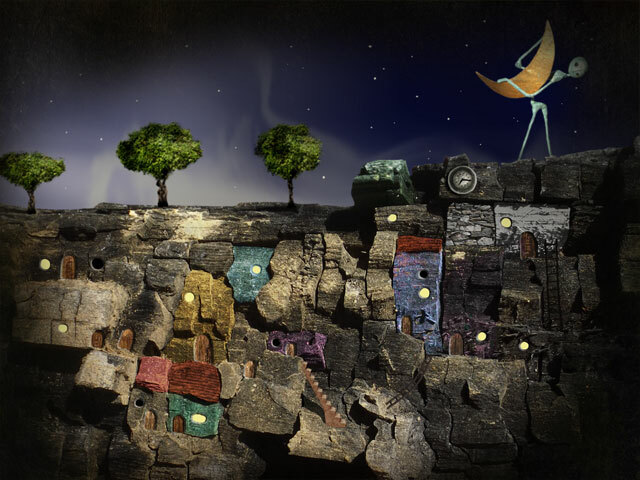 LEAVES - The Return is an artistic exploration and puzzle-adventure filled with real sculptures in a surreal dreamscape. This sequel to LEAVES - The Journey is a stand-alone addition and playable without any knowledge of the first part. Collect, combine and solve a plethora of puzzles and mini games that will challenge your wit and skill. The Stony Mountains are as welcoming as ever, but unfortunately, the Treefruities are once again in trouble. Holding onto the leaves of their home tree still proves to be a challenge when the tree is rocked by a giant fit of sneezing that scatters the leaves across the lands of Mononino. Join the Treefruities on this amazing journey through new fantastic landscapes to get their lost leaves back and solve challenging puzzles and mini games. 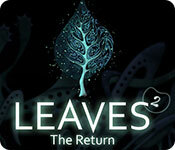 Leaves 2: The Return is rated 4.6 out of 5 by 39. Rated 5 out of 5 by vcollins1000 from Fascinating and surreal This game is a strange visual experience, with amazingly surreal scenery. 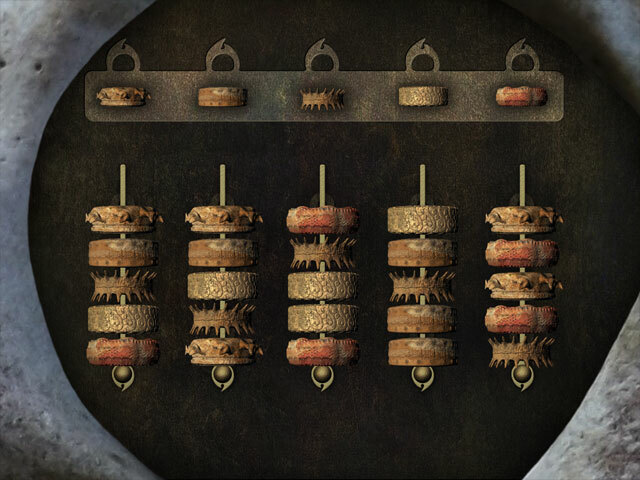 The puzzles are hard enough to be a real challenge, but have logical solutions. This game is very different and well worth exploring. Rated 5 out of 5 by JanSimmo from Top notch game What a magnificent game, a true challenge based on pure logic. No bells, whistles, frills or gimics ....thank you for providing a proper grown up game that had me captivated, frustrated and eventually totally relieved that I was able to complete it. Some of the puzzles had me totally flummoxed but I thoroughly enjoyed the challenge. Not many of this type of game available......bring on more !!!!!!!!! Rated 5 out of 5 by timothya from So Sorry To Be Finished I truly am sorry to be finished with this brilliant game. This is pure puzzle joy, and some of them are pretty tough. The Help this time was a little more evocative than last, but as before you have to solve a puzzle to get to it. Surreal surroundings, great ambient sounds. Not just my game of the year nominee, but one of the best I've ever played. Not for a beginner, not for the impatient, but utterly delightful for everyone else. Rated 5 out of 5 by simonear from At last, a game with some challenges Loved it so much. Really just wanted to give it 5 stars. I hate that most BFG games are too easy. but this was quite a refreshing change. More games like this and I might rejoin the club. Rated 5 out of 5 by drumahh from Distinctive surprising puzzle I would love to see more offerings like this game, “Leaves”, from Big Fish. It was very fun to walk through the various puzzles. Although at first there was confusion and no tutorial hints, I had to use my noggin to unravel the mysteries featured here. I normally look to the lowest ratings to see if I want to buy a game. I find that when the lowest ratings are along the lines of “it’s too hard” then I believe I will buy more of them. I’ll have to go back and play the first game now. Rated 5 out of 5 by adventure_delia from FINALLY, BFG! More like this (properly categorized!!!) & I'll keep my membership ;) I bought this game elsewhere, and it is awesome(!!) for all who enjoy actual puzzle/adventure games :) There are NO junkpiles!!! There are NO annoying sparkles. There are NO little animal (or whatever) 'helpers'. YES, you have to OBSERVE & THINK to make it through~ but it is NOT overly hard! Puzzles are really quite simple, so long as you pay attention to what symbols/shapes/colours etc you've seen where. NO, there is no fluffy little hint button OR a 'skip puzzle' button~ but GIVE YOURSELF A CHANCE! All puzzles are pretty intuitive & you can play a simple game to open a hint if you get stuck ;) The artwork is beautifully done, as is the whole concept of the game. MORE ALONG THESE LINES, BFG! I WISH BFG would actually get around to CATEGORIZING things properly!!!!!! : ie. games that are PUZZLE need to show up FIRST when you click on the puzzle category~ games that are ADVENTURE show up first in adventure etc etc... I'm so FED UP trying to find a decent game amid the endless 'HIDDEN OBJECT' blah that clutters up every single category, I'm pretty much at the point of cancelling membership. Seriously, it takes more time to even find a game than actually play one. Rated 5 out of 5 by Crain_S from Creepy/Cute Little Mind Workout Amazing game. Challenging and no "help" to speak of, but I found that to be part of the allure. 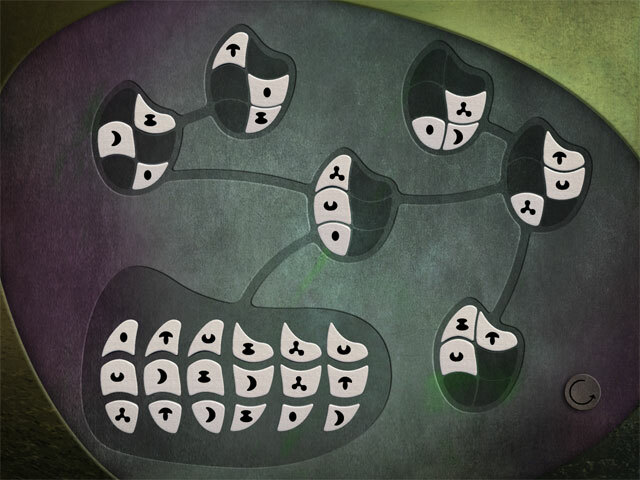 The puzzles are presented and you have to hammer out how to solve them on your own. You don't really know if you are on the right track until it is done. I recommend using the Spyglass from the inventory on every scene and puzzle in case there are any surprises or hints hidden away. DON'T LOOK FOR CHEATS!! First of all, there aren't any good hint sites or articles available, just a bunch of YouTube videos, but you will feel much more satisfied with yourself if you just stick with it. Some of the puzzles the most challenging I have ever faced in these games and I was proud of myself when I solved them. Take your time and really think it through! Rated 5 out of 5 by thewraith981 from Finally a game that uses your brain!!!!! I am so glad I found this game and the first Leaves: The Journey. I am so tired of the same games Big Fish turns out with same storyline, same hints, same style game, same no thought just keeping moving, same same same.....This is a game you actually use your noggin and sometimes will be just staring at the screen saying to yourself "what did I miss"...Love it and I hope BF knows we want more of these games!! !